After hearing oral arguments earlier this week from attorneys representing the White House and the states of Washington and Minnesota, last night, the U.S. Court of Appeals for the Ninth Circuit unanimously upheld the U.S. District Court for the Western District of Washington’s February 3, 2017 issuance of a temporary restraining order prohibiting the federal government from enforcing President Trump’s Executive Order 13769, “Protecting the Nation From Foreign Terrorist Entry Into the United States” (EO 13769). As you know from our previous blog posts, EO 13769 suspends the entire refugee admission program for 120 days, the Syrian refugee program indefinitely and the entry of immigrants and non-immigrants from Iran, Iraq, Libya, Somalia, Sudan, Syria and Yemen for an initial 90-day period. 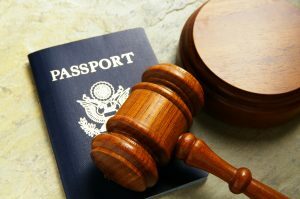 For now, as a result of the Ninth Circuit’s decision, citizens from the seven restricted countries will be able to travel to the U.S. Despite the fact that the Ninth Circuit’s ruling refuses to reinstate EO 13769’s travel ban, it is important to note that this situation will continue to be fluid, and the Trump administration will very likely seek to appeal this latest decision. As such, we continue to advise that individuals from the seven restricted countries who are presently in the U.S. forego unnecessary international travel at this time. In addition, for those individuals from the restricted countries who have valid U.S. visas, who are presently outside the U.S. and who have the intent to return to the U.S., we recommend that they consider traveling to the U.S. while there remains an opportunity to do so.